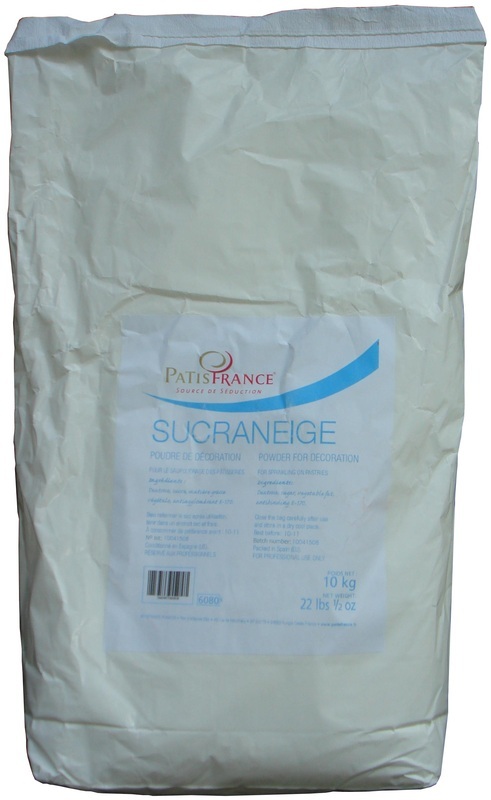 Insoluble sugar in the water, ideal for powdering and obtain a perfect durable decoration. Dextrose; Sugar; Vegetable fat; Anti agglomerating E170. Ideal to sprinkle and to decorate any pieces of cake, pastry and bakery. Resist to the heat of shop windows as well as to the freezing. Size (in): L 19.29" x W 12.99" x H 8.07"